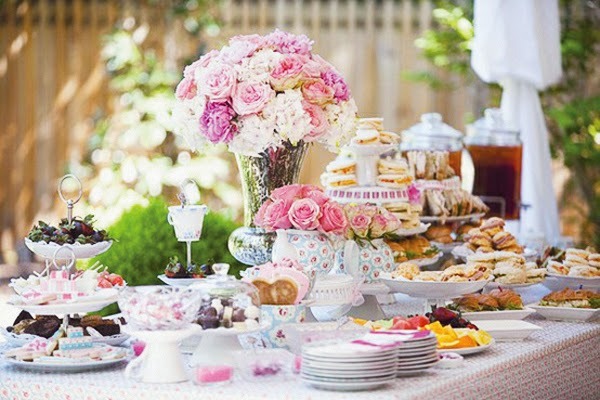 This article is the first in a series about planning your wedding or commitment ceremony and celebrating your marriage with the charm and warmth and romance of an afternoon tea theme. Most people choose to tie the knot in a church or synagogue or other place of worship. 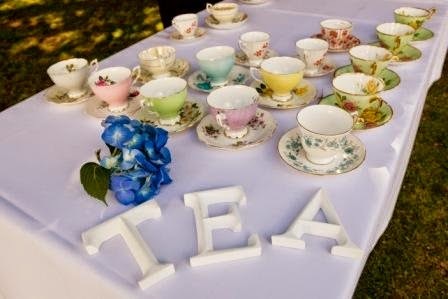 To support the tea theme, you might consider an older church or Victorian decorations. But if you are considering an other places for your ceremony, how about a country Bed and Breakfast or cottage? They often have deep front porches and Victorian décor and some have afternoon tea built into their schedules. Or, you could have an outdoor wedding beneath a gazebo or by a lake. Are you thinking about a destination wedding? A Bed and Breakfast hotel in England would fit in even better with the afternoon tea theme! 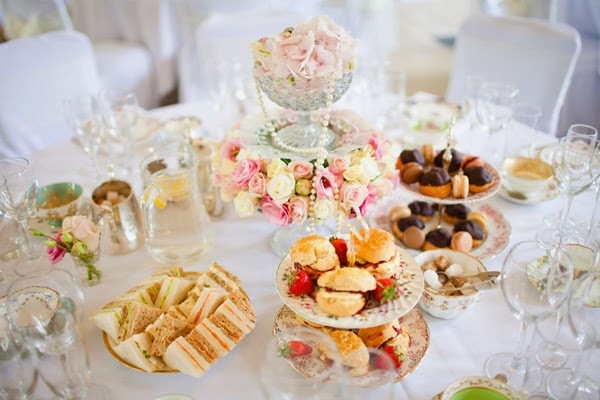 The typical time for an afternoon tea is 4pm, so if you like the idea of having your reception at that time, then your wedding would need to be an hour or so before that time. Truthfully, though, any afternoon time would be fine. For more casual invitations, tea themes abound! You won't find it hard at all to find invitations you can adapt for use with your wedding or commitment ceremony. But for a more formal invitation, you may want to go without a tea theme or have your invitations custom-designed so they look exactly the way you want them to and include the tea theme you want. Have an assortment of different types of teas, including iced tea, and you may want to include coffee for guests who dislike tea altogether. You also should provide simple tea fare, such as cakes, cookies, scones, pastries. Feel tree to take a trip to the bakery if baking in any form is not your thing. You could go with either the tea theme and look for invitations with teapots or tea cups, or you could go with the wedding theme and use that as your guide in choosing invitations.